Photos released related to human remains found in Kenosha County, Wis.
KENOSHA COUNTY, Ill. (WLS) -- Photos of items found with human remains discovered on the shoreline of Lake Michigan in Kenosha County, Wis., on Dec. 28, 2016, were released this week. The remains are believed to be of an adult man with ties to the Lake County, Ill., and Waukegan area, according to the Kenosha County Medical Examiner's Office. - A purple keychain containing several keys and a Thornton's Gas Station Rewards card. There is no name associated with this rewards card. Thornton's was able to tell us that this person made multiple purchases from Dec. 12, 2012 - Jan. 27, 2014 at their gas station located at 2201 N. Green Bay Rd., Waukegan, Ill. All of these transactions were paid in cash. The transactions consisted of multiple purchases of coffee, and sometimes Mentos candy or M&M candy. There were several fuel purchases too. - A keychain also contains a padlock key, a house key, and a round car key. The round car key is believed to be a door/trunk key from a Cadillac/General Motors type of vehicle, possibly a Seville or Deville ranging from the 1980's to 1999. - A Reebok size 3XL, zip-up hooded sweatshirt. We believe that the sweatshirt is similar to the one pictured below. We believe that this sweatshirt was originally black in color with red/orange distressed letter design of "Reebok" across the front chest. - A light blue colored lighter was located in the decedent's pants pocket. 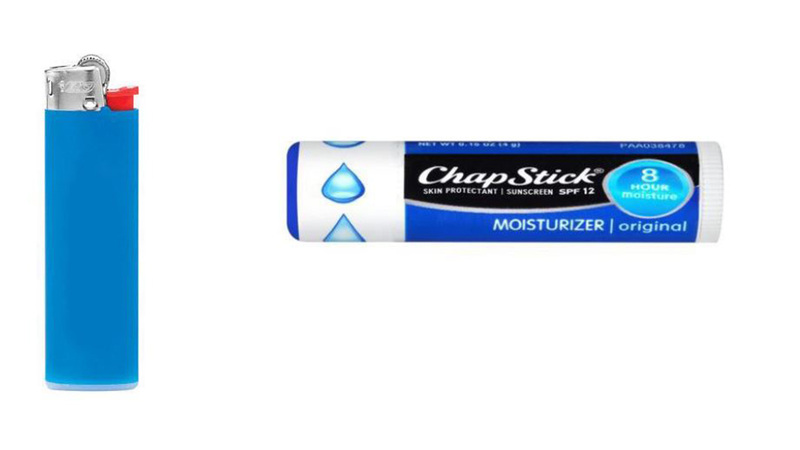 - A tube of "Chapstick" with a blue label was located in the decedent's pants pocket. - A thermal style type of shirt, probably long sleeves, unknown color, brand "Sada", size 1X. - Dark colored fabric pants, probably black in color, brand "Lions Crest by English Laundry", size XL, with an elastic waist band. - A ribbed tank top, unknown size or color, brand is "Hanes". - Fabric boxer style shorts/underwear, brand "Fruit of the Loom." Unknown size and color.